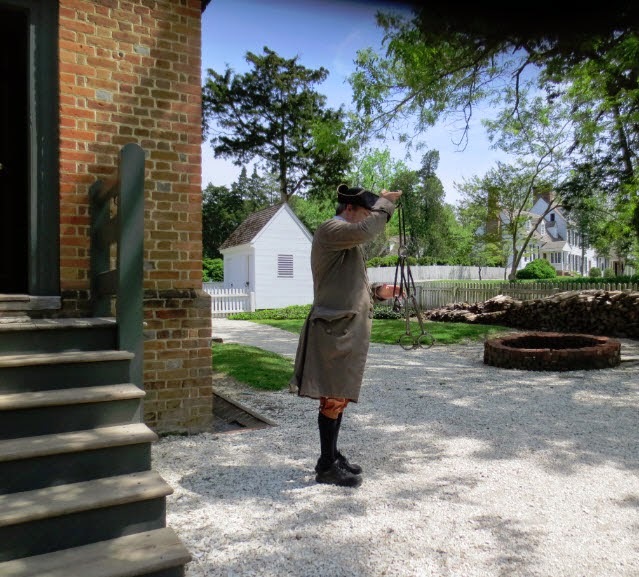 A few days prior to my attendance at the National Genealogical Society conference this month, I had the pleasure of visiting Colonial Williamsburg, an 18th century living history museum. I loved looking at the historic buildings, people dressed in period costumes and horses clomping down the street. Our understanding of our ancestors is richer if we can visualize their world. 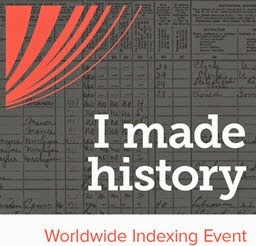 Since I frequently read historic newspapers in pursuit of genealogical information, the printing office (http://www.history.org/almanack/life/trades/tradepri.cfm) was one of my first visits. The printer gave us a wonderful demonstration of the ways newspapers were created many years ago. Did you know that the letter W came from UU (double U)? The painstaking typesetting process was tedious and expensive. Paper was costly during the 18th century, so the rich citizens were often the ones who wrote articles to be published in the papers. There was also a high illiteracy rate. 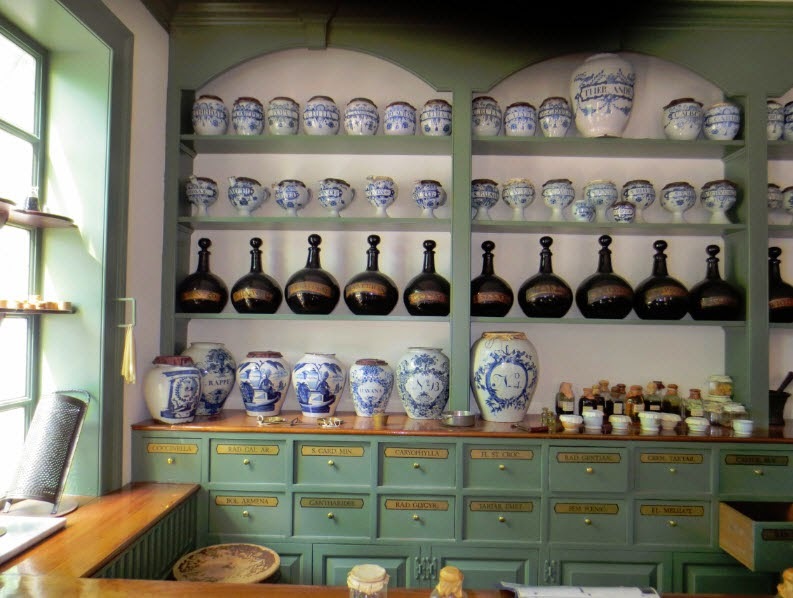 I really enjoyed visiting the Pasteur & Galt Apothecary Shop (http://www.history.org/Almanack/life/trades/tradeapo.cfm). There I learned about the medicine our ancestors took for their ailments and the types of medical equipment that was used for broken bones. There was also a discussion of dental practices. To learn about Thomas Jefferson’s toothbrush see http://www.history.org/history/teaching/enewsletter/may03/iotm.cfm. I’m really glad I didn’t live in the 18th century. A few of my Park ancestors were coopers so I was eager to visit the cooper (http://www.history.org/almanack/life/trades/tradecoo.cfm). 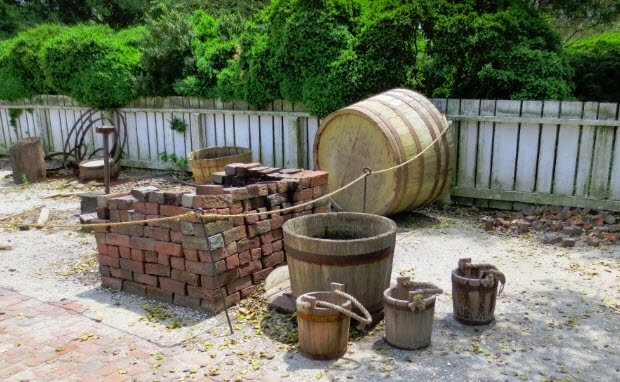 I asked the cooper (he was a real cooper) how they ensured that the barrels did not leak—did they seal them? He said that a good cooper will know how to cut the wood just right so that it does not leak. He also said that coopers were usually employed by others and not self-employed. I now want to investigate what employers may have employed my coopers in Utica, New York. 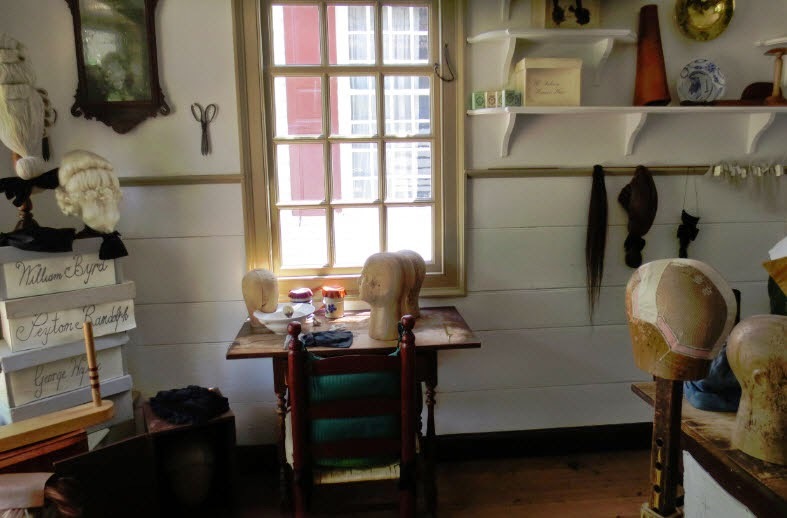 I found the visit to the wigmaker (http://www.history.org/almanack/life/trades/tradewig.cfm) especially interesting. Did you know that to fit a wig properly, you have to have your head shaved bald? Wealthy persons in the 18th century often wore wigs. A wig was very costly, as much as an average person’s yearly salary. The term “blockhead” comes from the wooden form used to make wigs. See "Puttin’ on the Dog" (http://www.history.org/Foundation/journal/Summer02/puttin_on_the_dog.cfm). 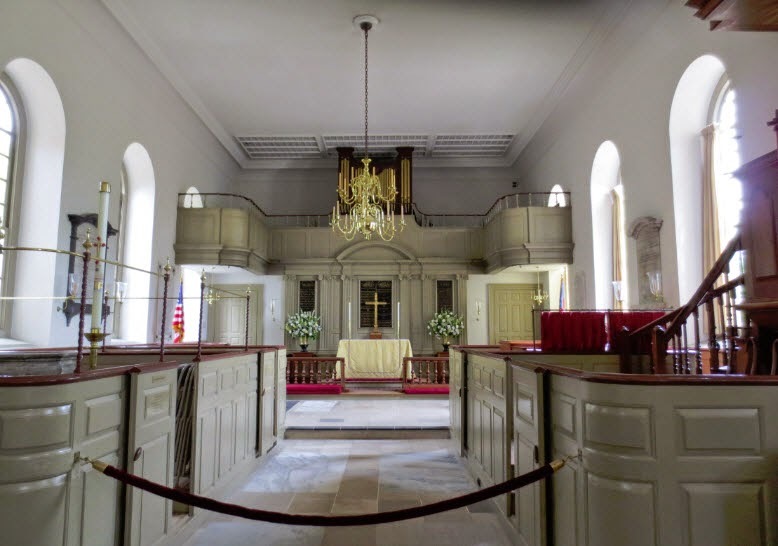 If you go to Williamsburg, be sure to visit the exquisite Bruton Parish Episcopal Church (http://www.history.org/almanack/places/hb/hbbruch.cfm). 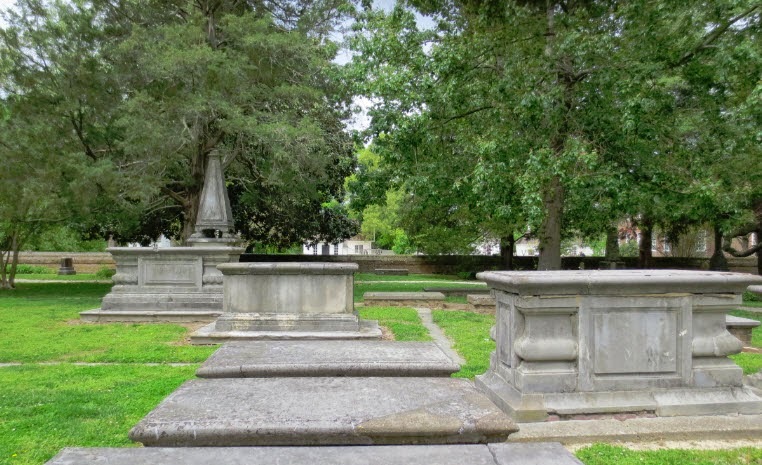 I know the genealogists out there love to visit cemeteries, so you will enjoy the historic cemetery that surrounds the church. After a visit to the Public Gaol (http://www.history.org/almanack/places/hb/hbgaol.cfm), you will wonder why people ever disobeyed the law. 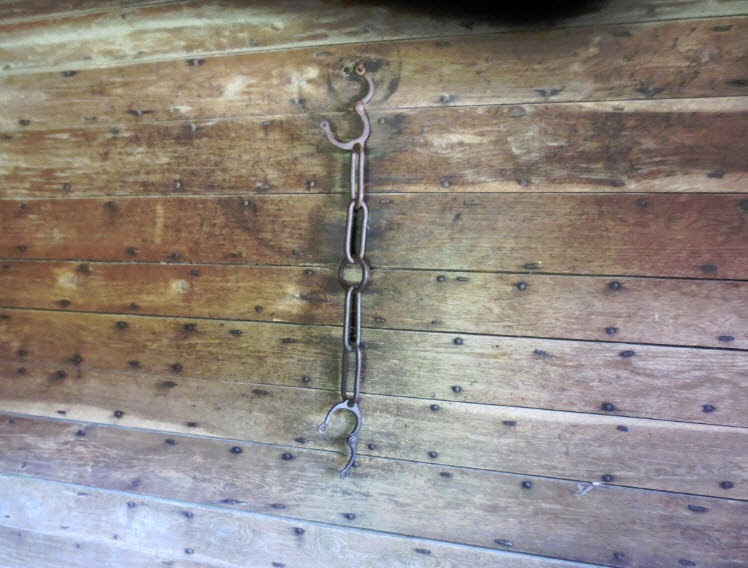 I learned that a person who was found to have committed theft would have the letter “T” branded onto their hand. And that was one of the lesser punishments! The Capitol is a good stop if you want to learn about the government in colonial Virginia. See: http://www.history.org/almanack/places/hb/hbcap.cfm. 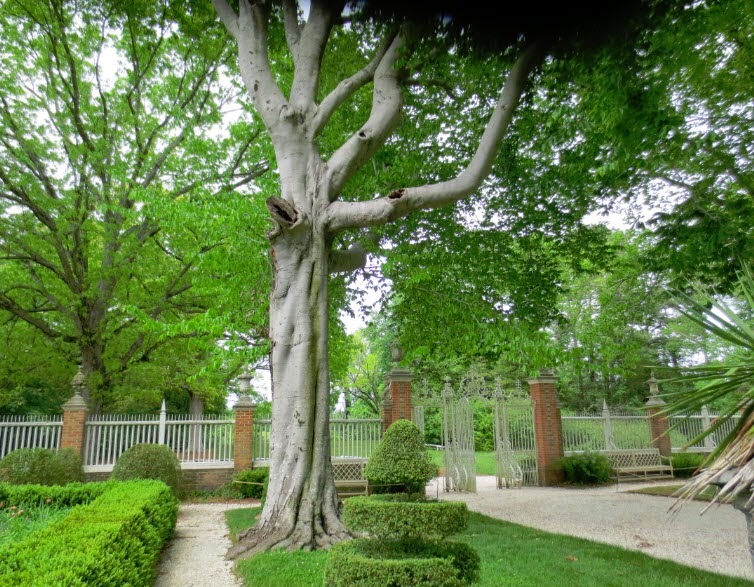 The Governor's Palace (http://www.history.org/almanack/places/hb/hbpal.cfm) is fabulous, but I most loved the magnificent tree in the garden behind the palace. 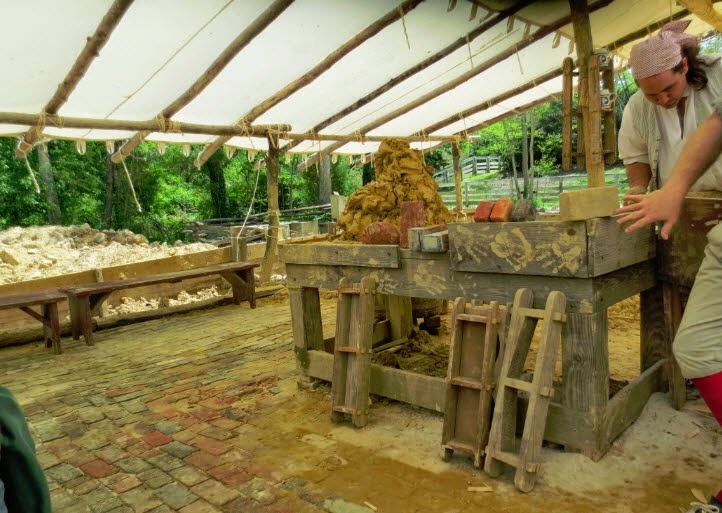 I had no idea how bricks were made until I stopped at the brickmakers exhibit. See: http://www.history.org/almanack/life/trades/tradebri.cfm. I just adore taverns. It must be the English in me. We enjoyed lunch to the tunes of a mandolin. 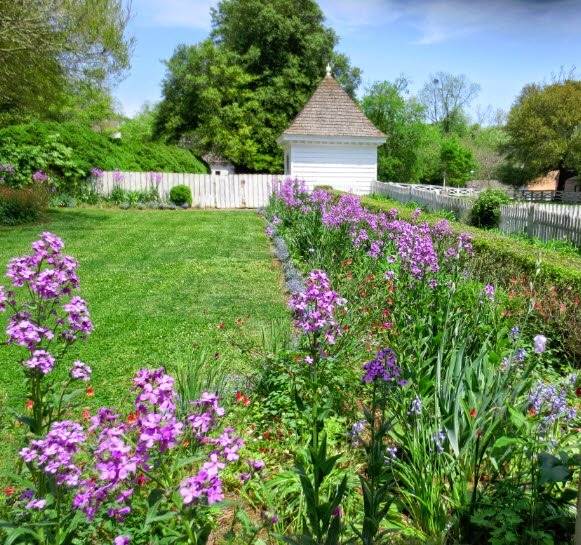 See: http://www.colonialwilliamsburg.com/do/restaurants/historic-dining-taverns/chownings. If you love guns and swords, then you have to visit the Magazine (http://www.history.org/almanack/places/hb/hbmag.cfm). I have never seen so much ammunition. 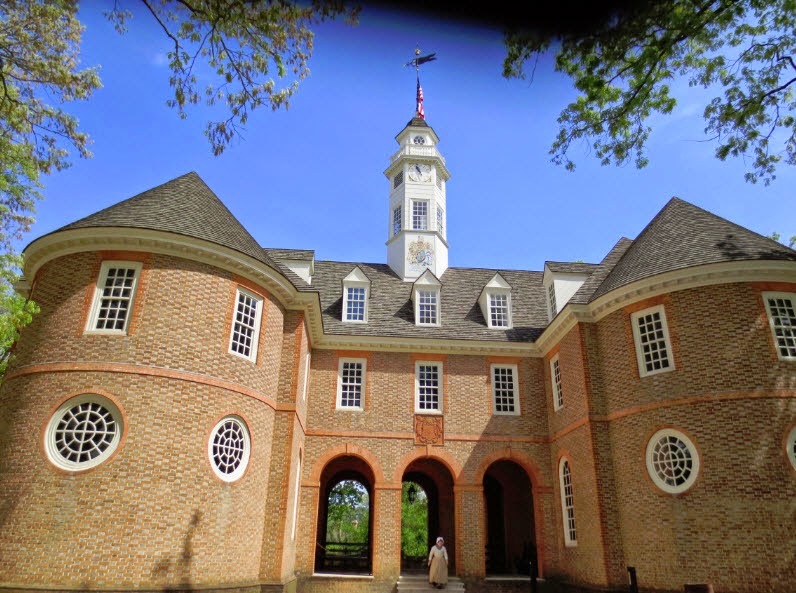 Colonial Williamsburg is a top-notch vacation spot for adults and children. The grounds are clean with beautiful gardens and architecture. The employees are well-educated and professional. Summer is almost here, so put Williamsburg on your list of places to see. 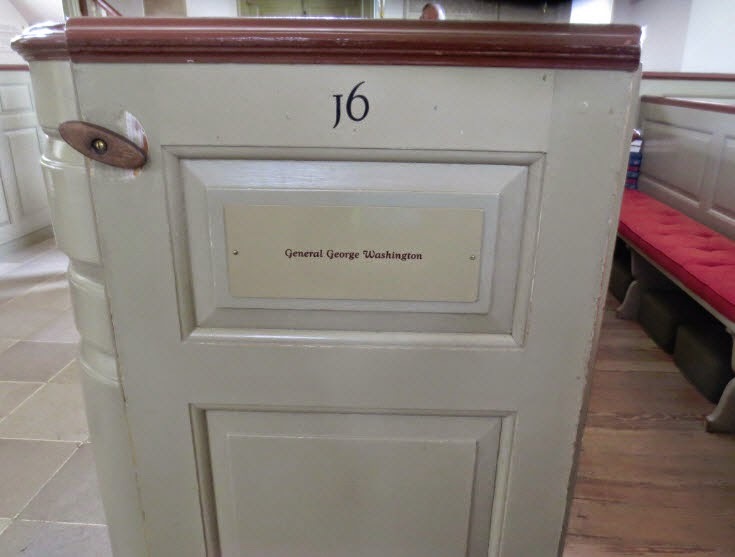 Also, be sure to check out the Colonial Williamsburg Digital Library (http://research.history.org/digitallibrary.cfm). Thank you for a wonderful summary of your tour. I would love to visit one day, myself, as unlikely as that now is. Living history museums are one of my favorite destinations. Thanks, Bill. I am fortunate to have a wonderful living history museum fairly close by. 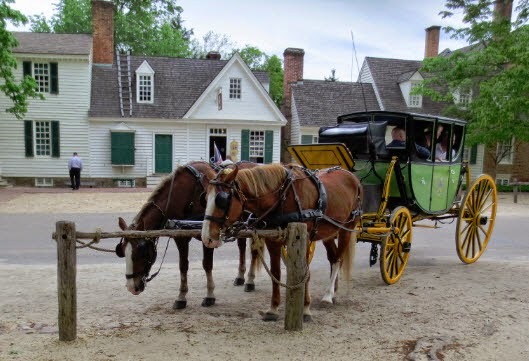 Greenfield Village in Dearborn, Michigan is very similar to Colonial Williamsburg.